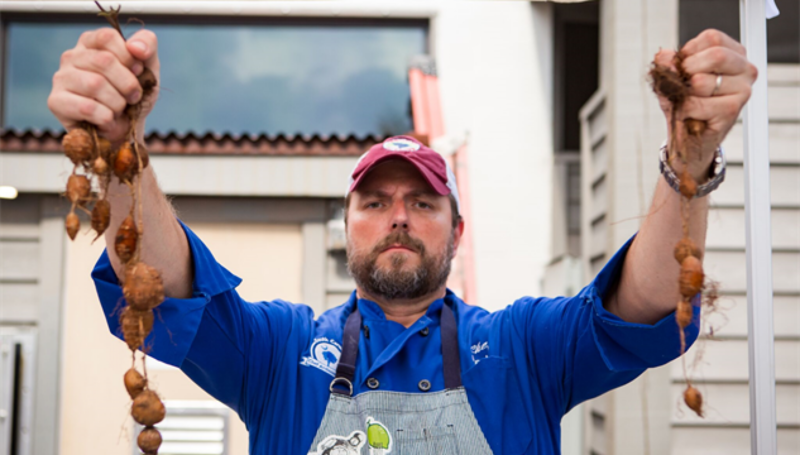 Meet Chef William Deas, inventor of She Crab Soup. In recent weeks, we’ve celebrated the name of a previously unsung Charleston hero: Nat Fuller. Unless you’ve been completely outside the loop, you’ve probably heard the story. Fuller, a former slave, was renowned for his hospitality and for hosting events even through the war and, at the time, the longest siege in military history. And so it was that just weeks after the War’s end in 1865, Fuller hosted a grand Reconciliation Feast. Bringing together freed blacks and whites to sit at the same communal table and break bread. Well, my hat’s off to Mr. Moss (who, by the way, just published another great treatise on BBQ) for bringing things full circle. All of these stories seemed esoteric, though crucial to my own understanding of our shared Lowcountry history. Until Mr. moss highlighted the obvious- that Tom Tully in turn was responsible for training other cooks here in the Holy City, and that among those was none other than William Deas. I’ve written of William before– of how as a butler for Mayor Rhett he was tasked with planning a menu to entertain the President of the United States at the time. Of how he took a fairly simple crab soup made here by Scottish immigrants and ramped it up with the addition of Sherry and crab roe, of how in tour guide fashion we used to say that Charleston’s ubiquitous she crab soup was, in fact, created by Rhett’s Butler. So there it is. Nat Fuller isn’t just some dusty footnote to Charleston’s culinary history. He is, in many ways, why we enjoy she crab soup. Next Wednesday, we will host the Carolina Rice Kitchen dinner at Old Village Post House. Titled “Tables of the Reconstruction,” we will focus on the foods and stories of this pivot point in Charleston’s history. We’ll raise a glass to Mr. Deas, and to Nat Fuller.